The disappearing hitchhiker is one of the hoariest urban legends, and no one knows that better than Gabriel Walsh, a lawyer who grew up on folklore and myth. When Patrick brings him the case of a hitchhiking woman in white, who vanished on a country road, Gabriel knows the Cainsville elder is just trying to wheedle into his good graces. But Gabriel is a man in need of a mystery, one that will get him back into someone else’s good graces. The only thing his investigator, Olivia Taylor-Jones, loves more than a good mystery is a weird one, and this hitchhiker story fits the bill. As Gabriel digs into the case, though, he’s forced to face ghosts of his own and admit that the phantom isn’t the only one who has lost her way. 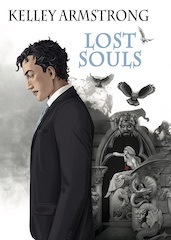 Lost Souls is a novella from Subterranean Press and includes 4 colour interior illustrations by Xaviere Daumarie. It will be released in two formats: 500 leather-bound signed & numbered hardcovers, plus unsigned cloth-bound hardcovers. Please note that this is a 200 page novella, not a full-length novel. These is also an eBook edition. 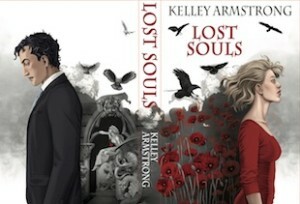 The eBook does not contain the artwork. There is now an audiobook version avialable, with links below.